Widely known as a reliable women’s health ultrasound, the Medison Accuvix XG ultrasound is a mid-level system that provides excellent 2D, 3D, and 4D imaging. Dynamic MR Plus – 2D image feature that optimizes detection and contrast resolution while decreasing speckle echoes. Wide dynamic range – Contrast-ratio feature that provides clear images where there are both bright and dark areas in the image. Speckle Reduction Filter – Improves image quality by reducing or eliminating unnecessary echoes. Full Spectrum Imaging – Produces the penetration capabilities at lower frequencies, with the same fine pixel uniformity found at higher frequencies. Spatial Compounding Image – Controls ultrasound beams to deliver significantly higher, clearer definition in soft tissue planes. The Accuvix XG ultrasound is also highly portable and adjustable. Operators can also benefit from its wide LED touchscreen, a 19-inch HD LCD monitor, and an articulating monitor arm. 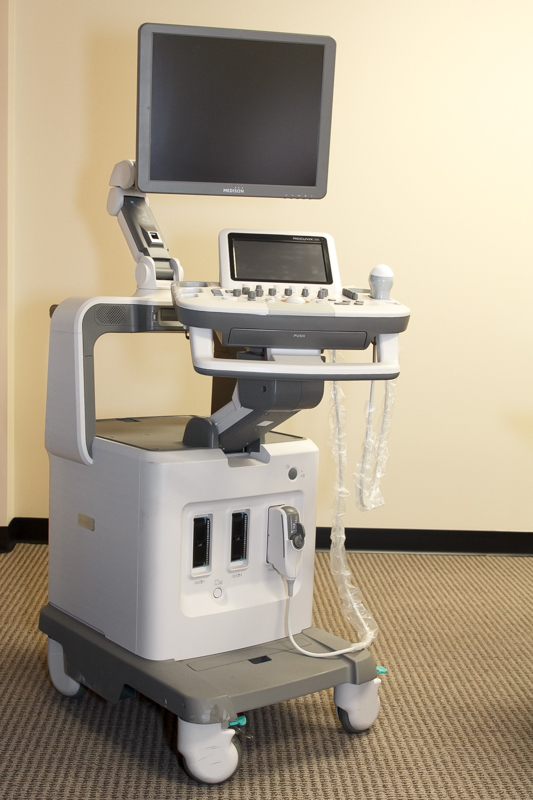 The Accuvix XG is an excellent alternative choice for a solid 4D ultrasound machine. Medison has one of the better 4D technologies out there, and the Accuvix XG provides a nice, affordable alternative to the GE Voluson ultrasounds. In general, you can save money with the Medison products over the Voluson, and you’ll get a newer, more modern looking ultrasound at a competitive price.